Sony has announced five new photographers have been added to its Artisans of Imagery Ambassadors program. 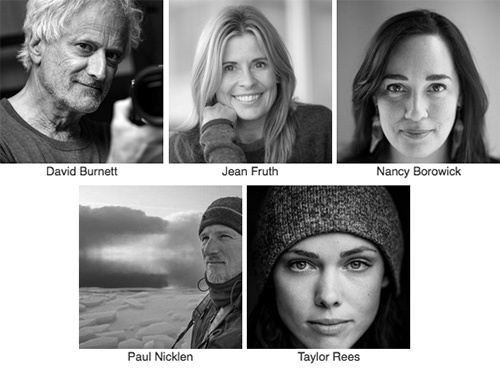 The five include Paul Nicklen, Taylor Rees, David Burnett, Jean Fruth and Nancy Borowick. "Sony's Artisans of Imagery include some of the most respected and admired creators in the industry, each bringing their own unique vison and style in visual storytelling," said Neal Manowitz, deputy president for Sony Imaging Products and Services Americas. "We're thrilled to welcome these five new members to the team. Their achievements within the industry are countless and their passion and support for the Sony brand shines through extensively. Together, we look forward to building on our strong momentum, enabling more photographers and videographers to capture and create like they never have been able to before." Visit Sony's Artisans of Imagery program for more information on the program, including profiles of all the new artisans. SAN DIEGO, Calif. -- Sony Electronics Inc. today welcomed five extremely talented creators to its Artisans of Imagery ambassador program. These five new artisans -- Paul Nicklen, Taylor Rees, David Burnett, Jean Fruth and Nancy Borowick -- are each leaders in their disciplines from wildlife photography and photojournalism to sports and documentary filmmaking. Taylor Rees, Adventure filmmaker and photographer. A filmmaker and photojournalist, Taylor Rees is driven by an insatiable curiosity to explore and tell the stories beneath the surface. Using narrative voice and scientific vigor, she brings new perspectives to challenging topics including climate change, energy and water. "Sony's Artisans of Imagery include some of the most respected and admired creators in the industry, each bringing their own unique vison and style in visual storytelling," said Neal Manowitz, deputy president for Sony Imaging Products and Services Americas. "We're thrilled to welcome these five new members to the team. Their achievements within the industry are countless and their passion and support for the Sony brand shines through extensively. Together, we look forward to building on our strong momentum, enabling more photographers and videographers to capture and create like they never have been able to before." For more information on Sony's Artisans of Imagery program, including profiles of all the new Artisans, visit: https://alphauniverse.com/artisans/.